STATE COLLEGE, Pa. (AP) - Romeo Langford scored 15 of his 17 points in the first half to lead Indiana over Penn State 64-62 on Tuesday night. Rasir Bolton led Penn State (4-4, 0-2) with 17 points, Myles Dread had 12 points and Lamar Stevens added 12 points and 10 rebounds for the Nittany Lions. Stevens had a final shot foiled by Smith, who ripped an inbounds pass away from a Penn State player in the waning seconds. After taking a 34-30 lead into halftime, the Hoosiers opened the second with a 12-2 run and built a 14-point advantage just over five minutes into the second half. They maintained a comfortable lead for much of the half, and a jumper from Evan Fitzner made it 63-52 Indiana with 3:58 left. But Bolton led a 10-1 run with nine points over that stretch in the final 3:14. His layup with 22 seconds left was the final basket. The Nittany Lions jumped out to a 9-0 lead to open the game before the Hoosiers closed the gap with a 10-1 run fueled by back-to-back 3-pointers from Devonte Green. Langford gave Indiana its first lead of the game with a 3-point play that made it 13-0 just over midway through the half. 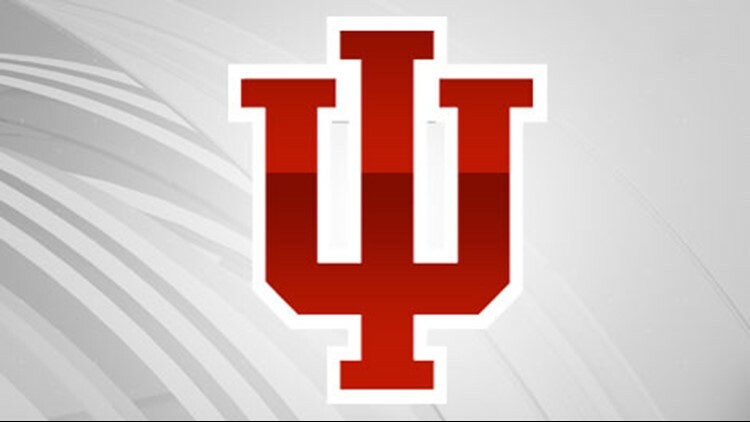 Indiana: Morgan's health was of concern entering the night after he failed to finish Saturday's game against Northwestern due to a right leg injury. But Morgan, who entered averaging 22.5 minutes per night, was able to play 26 minutes, four more than his season average. Penn State: The Nittany Lions can play all the defense they want but won't get the results they want if they don't shoot the ball better. Over their last four games in which they're 1-3, the Nittany Lions have made just 37 percent of their field goals. Indiana hosts Louisville on Saturday. Penn State hosts Colgate on Saturday.